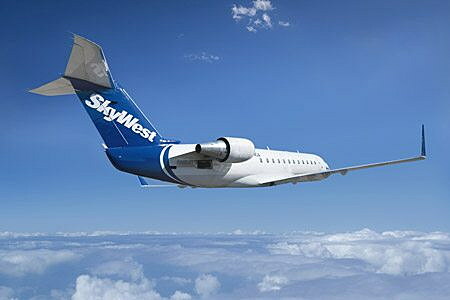 SkyWest Airlines was reapproved this week to serve West Yellowstone as an Essential Air Service provider, connecting the gateway to Yellowstone National Park to Salt Lake City. U.S. Sen. Steve Daines, R-Montana, who helped secure $600,000 in funds for Missoula International Airport in June to help expand air service, said continuing round-trip service to the Yellowstone region was critical to state tourism. SkyWest will continue its service with 12 weekly nonstop round trips to Salt Lake City for the summer season, which runs from June 1 through Sept. 30 in both 2017 and 2018. The annual subsidy to continue the service is roughly $580,950 for the next two summers. The flights are provided as Delta connections on a 50-passenger Canadair regional jet. Daines, who serves on both the U.S. Senate Committee on Appropriations and the Senate Committee on Commerce, Science and Transportation, helped secure $1.3 million for Missoula International and Logan International airports earlier this year. The funding serves as a revenue guarantee to help the cities compete for expanded air service. Airport officials in Missoula are lobbying American Airlines for nonstop service to Dallas/Fort Worth, though service to Houston on United Airlines remains an option.